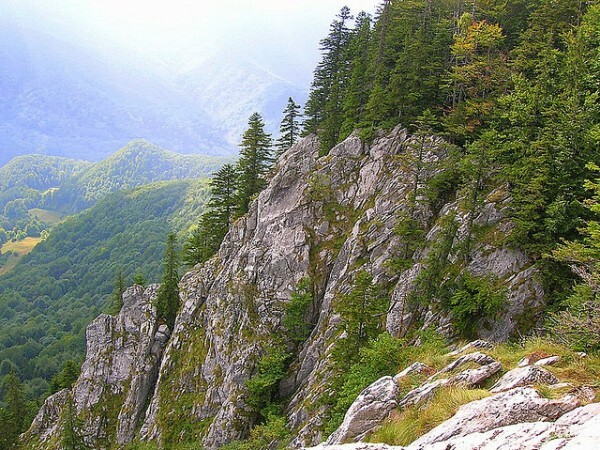 The Galbena Stone (1,243 m) seen from the north, is a slope located in the southern extreme of the Barsa Pit. The southern part of the slope, however, is a steep limestone of over 200 m, with wide views, guarding the Flower Glade. Due to the views that the Stone of Galbena offers, is one of the most beautiful lookout points in the Apuseni Mountains. 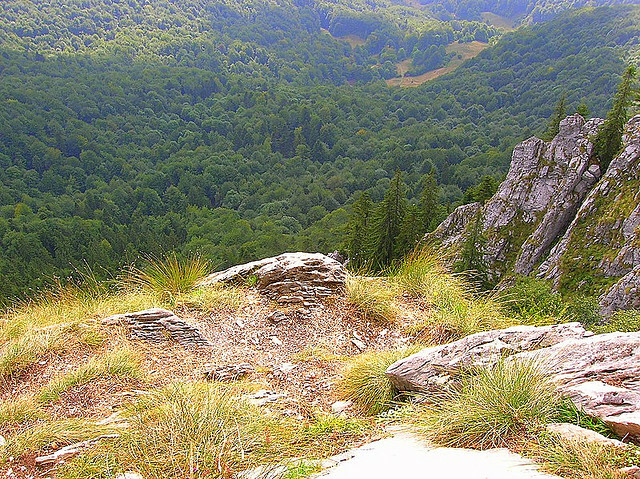 The Live Fire Glacier is a cave that is sheltering the third largest fossil ice block in the country, after the Glacier of Scărişoara and the Pothole of Borţig, also located in the Apuseni Natural Park, with a volume of approximately 25,000 m3. Under the Galbena Stone stretches a beautiful beech forest, where you can see small clearings dotted with the houses of grass cutters, forming the Flower Glade. Beyond these deepens between the wooded heights the Valley of the Galbena and its tributaries, including one that splits the the mountain on the opposite site with a huge reddish ‘wound’ on the top. This is the Ruginoasa pit, digged by the torrents in Mount Tapu, the strait of the Seci Valley, with numerous canyons full of jumpers and waterfalls. In the right side are lined the peaks of Ştirbina and Tătăroaia, the latter surrounded by meadows. From the Valley of the Galbena starts at the left the Luncşoara Valley which has its origin near Arieseni under the settlement of Cobles whose houses can be seen in the distance. In the same direction you can see the ski track of Vârtop, beyond which in clear days can be seen the Great Curcubăta with the TV relay. 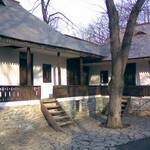 The first plan in the left is dominated by the wooded Mount Borţig, which is descends in a quite steep slope to the Galbena Spring, hidden by wooded heights, but betrayed by a limestone cliff in a shaped of a portal. The Live Fire Glacier is a little cave, consisting of two rooms, the first and largest being occupied by the huge block of ice. Its ceiling is broken by a large window, through which fell in logs, leaves and snow from outside, and they formed a large mound. Through the ceiling of the cave is entering enough light to reveal the groups of ice stalagmites in the opposite of the entrance. 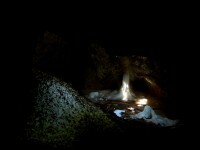 Moreover, around noon the sunlight enter through the window creating an enchanting setting in the Live Fire Glacier. The explanation for the existence of the ice block in the cave is given by two elements: the ceiling window favors the accumulation of cold air and the lack of ventilation keeps the cool air trapped in the cave all year round.